National Health Service (NHS) trusts have been ordered to slash spending and cut staff numbers as a £2bn black hole in Tory health spending further exacerbates Britain’s health crisis. The health service regulator’s letter, which was authored by Monitor’s chief executive David Bennett, has also called upon health providers to only fill staff vacancies that are essential. Bennet’s letter warned of a financial calamity of “almost unprecedented” levels facing the NHS, and stressed savings must be made where possible. It said financial forecasts for the coming year are unsustainable, and emergency spending cuts are vital. Britain’s Health Service Journal recently estimated NHS trusts are facing a deficit of £2bn for 2015-16. “As you know, the NHS is facing an almost unprecedented financial challenge this year,” Bennet told health service providers. 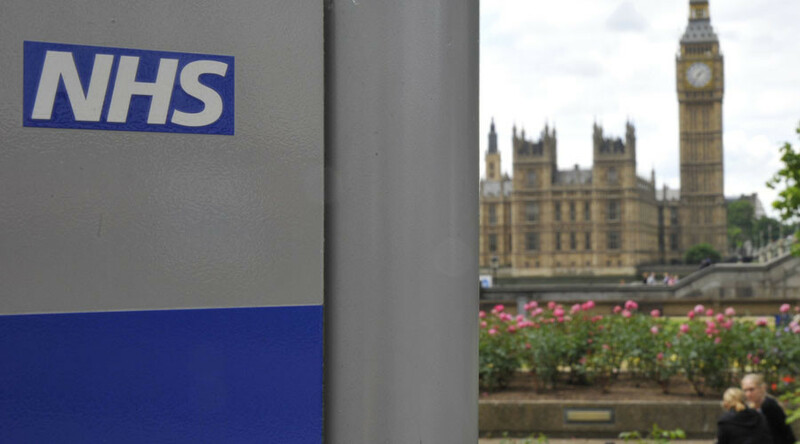 Bennett said spending plans for NHS trusts with the largest debt burdens are under review. However, he warned this process will not “close the funding gap” alone. “We need all providers – even those planning for a surplus this year – to look again at their plans to see what more can be done,” he said. Bennett said ministers will support health service providers in making these cuts. But he warned their deficit reduction strategies should ensure health providers’ safety and broader constitutional standards are upheld. Shadow health secretary and Labour leadership contender Andy Burnham said the NHS is in deep crisis. “This is a sign of a serious deterioration in NHS finances. It suggests that the financial crisis in the NHS is threatening to spiral out of control and hit standards of patient care,” he said. In April, Campaigners travelled across central London on a “battle bus” in protest against the corrosive impact of private finance initiative (PFI) contracts on Britain’s public health service. They warned hospitals in London are crumbling under toxic Private Finance Initiative (PFI) debts. Part of a worldwide program of privatization and financialization, PFI schemes use private capital to fund public infrastructure development. British taxpayers are estimated to owe roughly £222 billion ($337 billion) to banks and private firms under 720 PFI contracts. By 2050, the UK’s total PFI bill could amount to £310 billion ($470 billion) or four times the UK’s deficit, experts suggest. Critics warn these contracts are overpriced, shrouded in secrecy and – in certain instances – dependent on criminally rigged Libor rates. Financial justice activists are calling upon the British government to address Britain’s PFI debt crisis and acknowledge that excessive debts generated through these schemes impact on ordinary taxpayers while wealthy investors profit. In July, Green Party MP Caroline Lucas tabled a bill to repeal large sections of the Health and Social Care Act 2012, scrap NHS trusts and significantly restrict corporate interests driving public health policy in Britain. Lucas argued at the time the NHS is teetering “precariously on the brink of privatization.” The legislation would place the responsibility for UK citizens’ health back in the hands of the Secretary of State. Her proposed bill received cross-party backing, including the support of Labour MP and leadership contender Jeremy Corbyn, Liberal Democrat MP John Pugh, and Scottish National Party (SNP) spokesperson for health Phillipa Whitford.